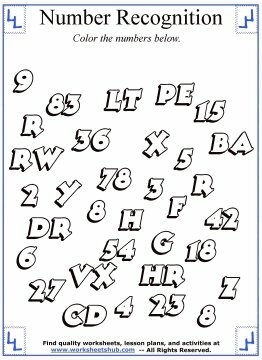 Coloring numbers is a fun activity, coloring them when they're mixed in with a bunch of letters is a skill. 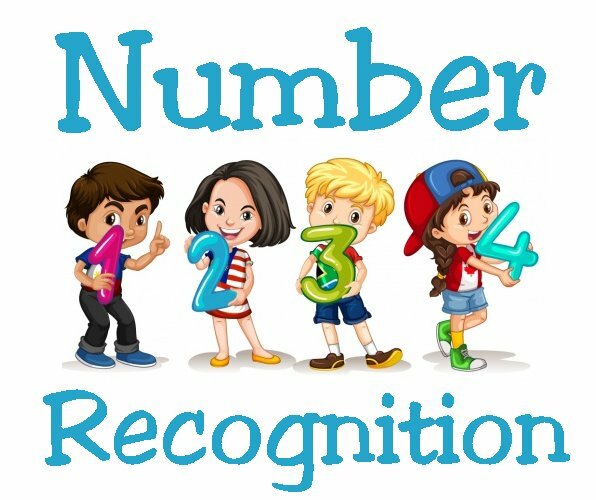 I recently took our youngest daughter to her Kindergarten screening test and one of the skills they tested was her ability to recognize numbers. 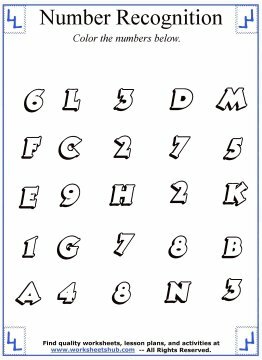 She does a pretty good job of picking out numbers from letters, but I thought it might be a good idea to create some number recognition worksheets for her to practice on. These activities are great for preschool students that are learning their numbers. They'll not only learn how to tell numbers from letters, but they'll also get to work on their fine motor skills through coloring. 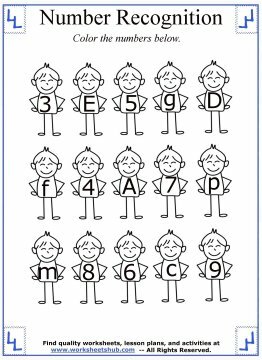 Below are six different worksheets that you can print out and use at home or in the classroom to teach your child how to recognize numbers. 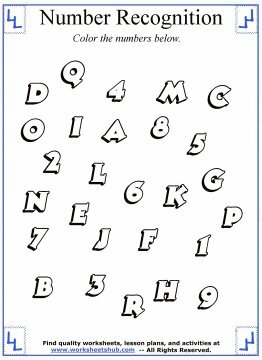 The first three printables have a mixture of letters and numbers. The first paper is a jumbled mess which may be a bit difficult. The numbers 1-9 should be colored. There is also the letter 'O' which may also be colored for the number zero. The second sheet is might be a tad easier. The letters and numbers are in nice neat rows. 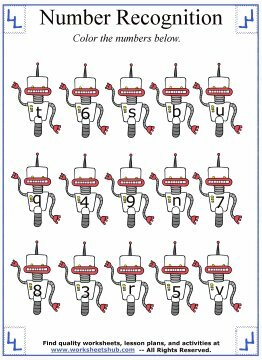 In this activity, some numbers are repeated. The next worksheet introduces double digit numbers. Again, I jumbled them up instead of having the organized rows. I also placed two letters next to each other to mimic the look of larger numbers. By now you should know how I love adding graphics to my worksheets, so here we go. 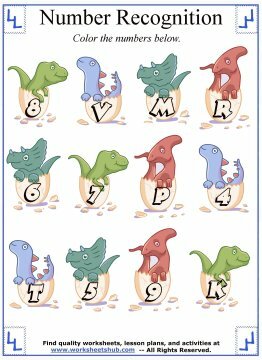 The fourth paper features baby dinosaurs with letters and numbers on their eggs. Color the eggs that have numbers on them. Next is a paper with stick figures. On the figure's shirt is either a number or a letter. Have your child color the shirts that have numbers on them. The final worksheet has robots. Robots! Color the robots that have numbers on their chest. Simply click on one of the photos below to save it to your computer. Then you can print it out. If you would like more of any of the worksheets below, let me know and I'll create more. Leave a message in the comments below and I'll get back with you as soon as possible.